Are you planning to go to Klein Curacao and feel like waking up early is not your idea of a vacation? Are you afraid to get sea sick? Then you are at the right address. 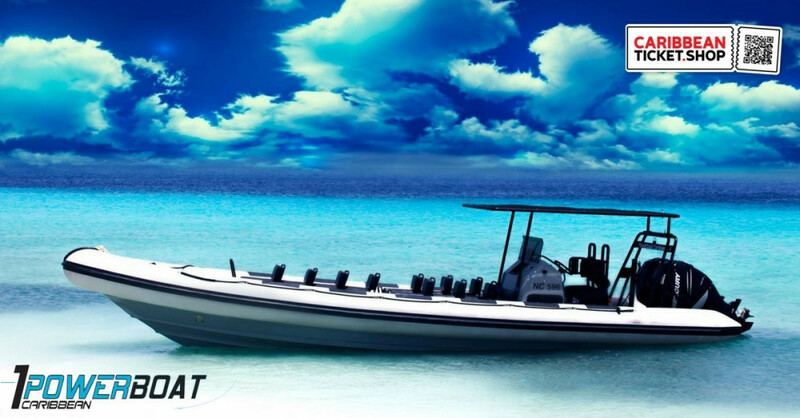 With the Powerboat we guarantee that you will not get seasick. Other, bigger boats will rock a lot which can cause seasickness. In our boat that is not possible. The boat is low on the water and we go on high speed so the problems of seasickness stay away. You do not even have time to get seasick because we will get to Klein Curacao in less than 1 hour! You will probably see some flying fish and, when you are lucky, even dolphins! We welcome you at 10 am our pick-up location Zanzibar, located at Jan Thiel Beach. Here you receive our safety briefing and you will be asked to sign your waiver and get on your seat. Then we leave the bay on slow speed and once we are on open sea, we head directly towards Klein Curacao. You stay for approximately 5 hours on the island. The time we need to get to Klein Curacao depends on the sea. The way to Klein Curacao will take 25 to 55 minutes maximum. The way back is easier and takes 25 to 30 minutes. Once we get to Klein Curacao you will see a small piece of paradise where you can relax, explore the island and try to find some turtles! At 4.30 pm we are back at the pick-up location and you have plenty of time to yourselves. On Saturdays the happy hour starts at 5 pm! This boat tour is made with maximum 10 people. With waves higher than 1,5 meters, we make the trip with maximum 9 people. We strongly discourage pregnant women and people with back, neck or any other injuries from booking a high-speed boat ride. The trips are weather permitting – if postponed we will contact you to reschedule or reimburse your money. 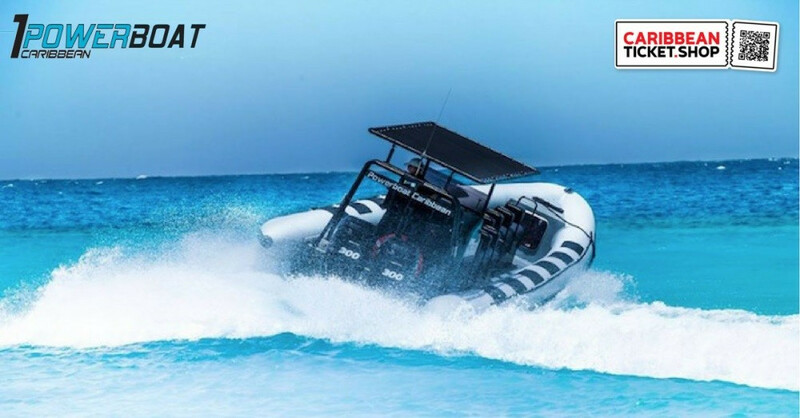 All Powerboat-tours are entirely at your own risk, you can find more information about this in our waiver. We would like to draw your attention to the fact that the trip to Klein Curacao can be quite rough, depending on the situation at sea. 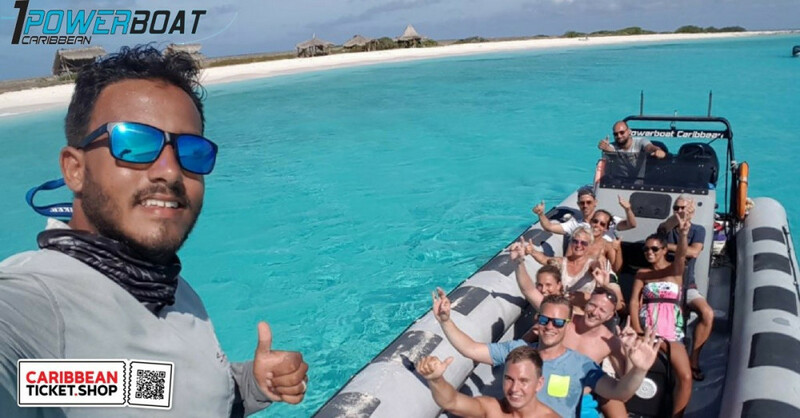 When we see that the sea is too rough or if you yourself decide that it is too much for you we will offer you an alternative trip: the Power Up Your Day trip. We will then show you the city center, the Spanish Water and Fuikbay. You will discover Curacao from the water and you will see a lot more than just Klein Curacao. We will also give you a refund of 15 dollar / 25 guilders since the Power Up-tour is shorter than the Klein Curacao trip. We would like to ask you in advance to keep this in mind and are looking forward to welcoming you on board. 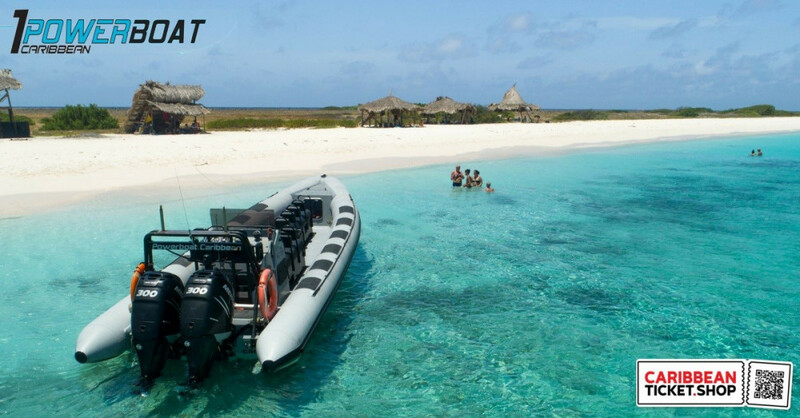 Klein Curaçao trips go on Mondays, Thursdays & Saturdays from 10.00 AM – 4.30 PM. If you have back injuries, broken bones, pregnancies, heart conditions or any other conditions that may be affected by a high-speed boat ride you are not allowed to go on the powerboat. Minimum of 4 attendees, maximum of 10. With waves higher than 1,5 meters there is a maximum of 9.